Who is Napoli's player of the season? It has been a season of great change for Napoli with new coach Rafael Benitez taking over from Walter Mazzarri after a four-year spell at the helm of the club. The San Paolo outfit lost the likes of star striker Edinson Cavani and goalkeeper Morgan De Sanctis while players such as Gonzalo Higuain, Dries Mertens, Pepe Reina, Raul Albiol and Jose Callejon were all drafted in as the first-team was given something of a makeover. There was no noticeable transition period for the Neapolitans, however, as they opened the season with a seven-game unbeaten run. They were rather unlucky to fail to progress beyond the group stage of the Champions League as they, Arsenal and Borussia Dortmund finished on 12 points. Benitez guided his charges to a third-place finish in a league which was very tight at the top with Roma and Juventus in great form and this season’s exploits could provide them with a good platform on which they can build for the future. Below, in alphabetical order, are Goal’s three nominees for Napoli’s player of the season, based on their club performances in all competitions. Cast your vote in the poll at the bottom of the article. The Argentine frontman joined from Real Madrid last summer and has had a remarkable debut season in Serie A. With 22 goals and 11 assists in the league, Champions League and Europa League, he has not only scored a great quantity of goals, but has scored some vitally important ones too. He found the net in the 2-1 win over Borussia Dortmund and adding a double against Marseille as his side were unlucky to crash out of Europe’s most prominent club competition at the group stage. He has scored against each of Inter, AC Milan, Roma, Lazio and set up both goals in Napoli’s 2-1 win over Fiorentina. In a promising season for the Neapolitan team, he has been a consistent and solid performer. 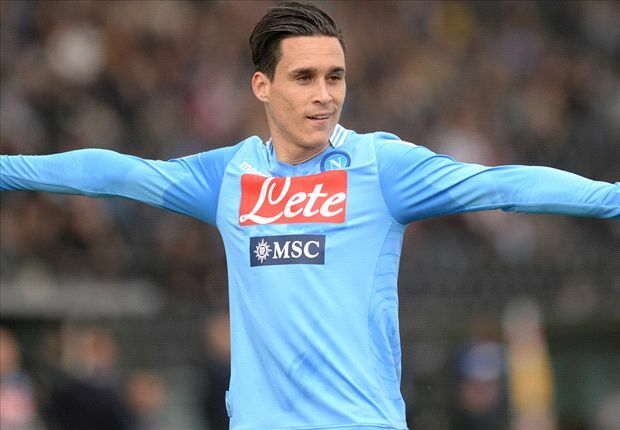 Napoli’s decision to splash out €10 million on Jose Callejon seemed a strange one at first glance. The 27-year-old winger had failed to secure himself a spot in the Real Madrid first-team. However, the Spaniard slotted directly into the Rafael Benitez’s team, making a berth on the wing his own with his great speed, skill and passing ability. The forward is incredibly versatile, having played on both wings and in a central position for his team and remaining a constant goal threat from each one. His season started bright with a goal in each of his first three games. The attacker doesn’t score in blotches either – he is a consistent scorer, having only scored more than one goal in a game on one occasion but still racked up 16 goals as well as seven assists in Serie A and Champions League this term. The Spanish goalkeeper has been excellent throughout the campaign following his season long loan from Liverpool. 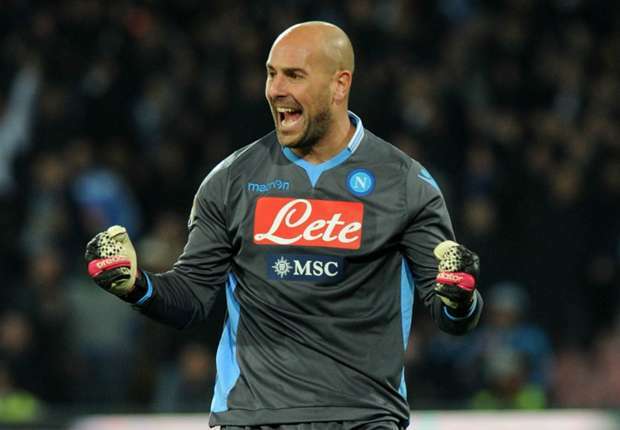 While the productivity of Higuain and Callejon up front have been crucial in Napoli’s third place finish, Reina has been just as important at the other end. The Spain international has saved 79 per cent of on-target shots he has faced this season, a rate which is bettered only by Gianluigi Buffon of those with a minimum number of 50 shots saved, however, Reina’s numbers were higher than his Juventus counterpart’s, 106 saves to the Italian’s 84. The Partenopei’s defensive record is the fourth best in Serie A this season and the acrobatics, reflexes and speed of Reina has been crucial in maintaining such an impressive record Benitez will be hopeful of making the deal a permanent one. This entry was posted in News on 17/05/2014 by mirsinho. Of course our best player is “Gonzalo Higuain”. Please come to my website. It’s about Napoli. I’m form Iran and I will see you in the world cup. I hope that you be the best player of the world cup and your team goes to the final round.